to Is the word This is the Fanlisting for the 1978 movie musical, Grease, starring John Travolta and Olivia Newton-John. 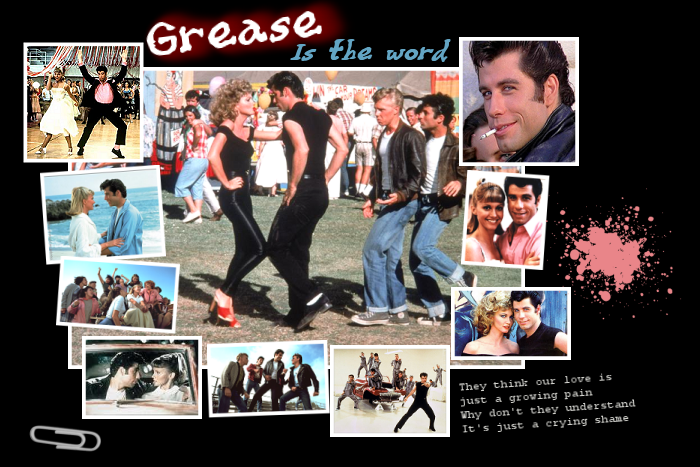 I can't even count the number of times I've watched Grease over the years and it's one of my favorite movies! If you're a fan of Grease, grab a button if you have a site, and fill out the join form to add your name to the list of fans! We are listed with The Fanlistings Network and The Movielistings Network. We opened on September 30, 2010, and the last update was made on March 22, 2019. We have a total of 85 members listed, from 21 countries, with 0 waiting to be added on the next update. Welcome to our newest member(s): Candy.